Making money from home means living the dream, right? Well, yes and no. 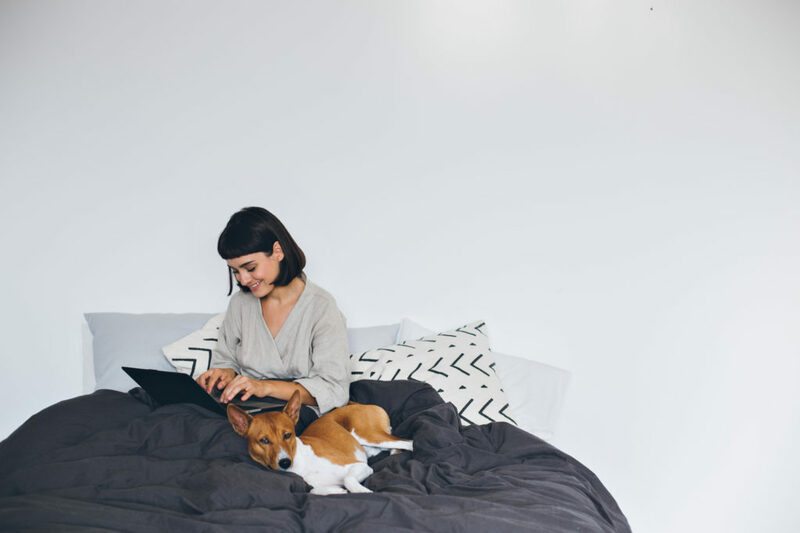 The flexibility and autonomy of working from home is great when you have clear boundaries, personal discipline, and your family respects the difference between your work hours and personal time. But if your days lack structure and boundaries, working from home can be a nightmare. 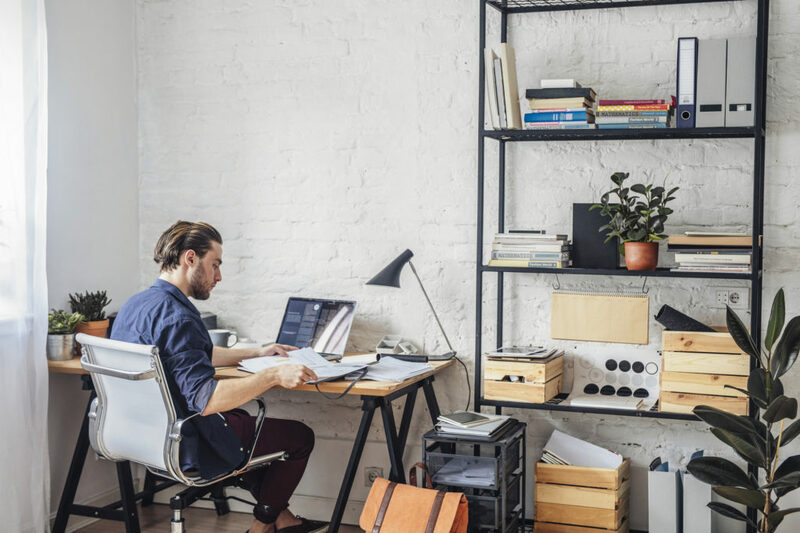 Most people are so excited by the idea of remote work, they don’t take the time to learn how to work from home successfully. Easy to become distracted by household chores, errands, family needs, etc. I don’t care if you work from a fully equipped home office, your guest bedroom, or your daughter’s tea table. When you show up to work, you should look and act like a professional. Doing so signals not only that it’s time to work but that you take your career seriously. It also trains other people to take you seriously. Wake up and prepare for work the same way you would if you were going to the office. Establish a morning routine and follow it so that no matter where you’re working, you’re in a professional, focused state of mind. Work during work hours. Do not do laundry, wash the dishes, or run errands simply because you’re at home. You may need to set boundaries and expectations with your family as well, so they can help you be successful at home and at work. If you wouldn’t do a certain task at the office, don’t do it until your working hours are over. But once your work hours are over, shut down your computer and honor your personal commitments. If you told your wife you’d take her to dinner, make good on that promise. If you committed to game night with your husband and his friends, show up and be present. Your family will be happy to respect your boundaries when they see that you’re there for them the rest of the time. Keep your office clean and clutter-free. Clutter is the ultimate productivity killer. It’s distracting, it increases stress levels, and it causes you to lose countless hours searching for documents and materials you need to work. The beauty of working from home is that you can create your ideal work environment. Find what yours is, optimize your space, and keep it tidy. To maximize your productivity, you need to cultivate the circumstances in which you thrive. And to do that, you need self-awareness. If you know you need breaks to refresh your mind every thirty minutes, plan how you’ll spend those. Maybe you’ve never thought about what elements contribute to your productivity. If that’s the case, pay attention to your habits for the next few weeks. Do certain assignments seem to flow better when you have instrumental music on in the background? Does an afternoon walk help you think through tough problems? Recognizing these patterns could help you develop a much more efficient and enjoyable work environment. Begin each day with the end in mind. There are limitless distractions to keep you from your work. Even if your family honors your boundaries from day one, you have app notifications, emails, news alerts, text messages, and all manner of content vying for your attention. That’s why you need to begin each day with the end in mind. Before you start working, decide what you want to have achieved by the time you go to sleep that night. Make a list of priority tasks, and do not give in to external distractions until these are complete. Then you’ll shift from being in a reactive mode to an intentional mindset. That’s really what working from home successfully comes down to: intentionality. You need to work by design, not default. If you wake up whenever you feel like it, eat when the mood strikes, and work in between loads of laundry and text messages from friends, working from home will be a miserable failure — and I do mean miserable. You cannot feel good about your career when you work this way. But when you live and work by design, you’re rewarded with professional satisfaction and success. And most importantly, remember who you ultimately work for. First Corinthians 10:31 tells us, “Whether you eat or drink, or whatever you do, do all to the glory of God.” That translates directly into our careers. We are to approach our work day with integrity, and trust that God will provide. Use your opportunity to work from home to show your boss and your co-workers how Christians truly live out their faith.